Women in Albania are European women who live in or are from Albania. The first women's association in Albania was founded in 1909. Albanian women from the northern Gheg region reside within a conservative and patriarchal society. In such a traditional society, the women have subordinate roles in Gheg communities that believe in "male predominance". This is despite the arrival of democracy and the adoption of a free market economy in Albania, after the period under the communist Party of Labour. Gheg Albanian culture is based on the 500-year-old Kanun of Leke Dukagjini, a traditional Gheg code of conduct, where the main role of women is to take care of the children and to take care of the home. Liberal in the traditional sense, Tosk Albanians, from southern and central Albania, make the majority population of Albanians living within Albania, and minority Albanian population living within the Balkans and greater Europe. The gender and religious discrimination rampant in traditional Gheg Albanian society was absent from traditional Tosk Albanian society, where women were and are seen as equals. Women are expected to be faithful to their husbands, but married Albanian women are considered the property of their male spouses. Having daughters is less favoured within the patriarchal society of Gheg Albanians. 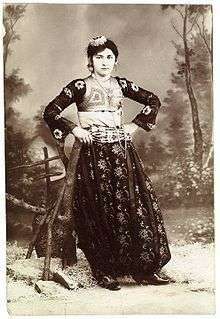 Prior to World War II, it was common for some Gheg Albanian women to become "live-in concubines" of men living in mountain areas. The importance given by Gheg men to marry themselves to virgin women has led to women paying to have their virginity restored. Despite the risk of infections and inflammations sexually active Gheg women are obtaining covert "simple 20-minute gynaecological" surgery "to become virgins again" in Gheg cities. The same clinics report that some wives are brought in by their husbands because they have failed to bleed on their wedding nights. The clinics are asked to verify the virginity of their wives because there were no blood stains. The Labs were an Albanian-speaking pastoral nomadic society before the 20th century, unique among the Albanian population as the Sarakatsani were among the Greeks. The Labs of Labëria were a patriarchal society but not as much as the Ghegs. As among the Montenegrins, women in Labëria were forced to do all the drudge work. In the past, family units that do not have patriarchs, unmarried Albanian women can take on the role of the male head of the family by "taking an oath of virginity", a role that would include the right to live like a man, to carry weapons, own property, be able to move freely, dress like men, acquire male names if they wish to do so, assert autonomy, avoid arranged marriages, and be in the company of men while being treated like a man. Due to the giving of greater importance to the desire of having sons than bearing daughters, it is customary that for pregnant Albanian women to be greeted with the phrase "të lindtënjëdjalë", meaning "May a son be born". In northern Albania, such as in Mirditë and nearby mountainous areas, it is part of tradition for Albanian women to be married only after they have been able to give birth to first sons. The women in central Albania, particularly the women in Elbasan and the nearby regions, are known to cook the sweet tasting ballakume during the Dita e Verës, an annual spring festival celebrated on the 14th of March. On the other hand, Muslim Albanian women, particularly women from the Islamic Bektashi sect cook pudding known as the ashura from ingredients such as cracked wheat, sugar, dried fruit, crushed nuts, and cinnamon, after the 10th day of matem, a period of fasting. 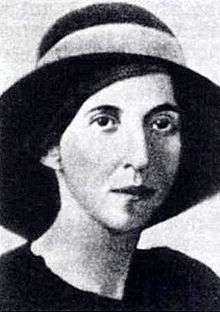 In 1920 Urani Rumbo and others founded in Gjirokastër, Lidhja e Gruas, (the Women's Union), one of the most important feminist organisations promoting Albanian women's emancipation. They published a declaration in the newspaper Drita, protesting discrimination against women and social conditions. In 1923 Urani Rumbo was also part of a campaign to allow girls to attend the "boy's" lyceum of Gjirokastër. 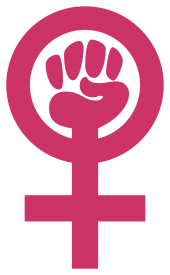 Limited women's suffrage was granted in 1920, and women obtained full voting rights in 1945, but as in other communist states, civil rights of both women and men were symbolic, due to the authoritarian nature of the government. Under the communist government of Albania, an official ideology of gender equality was promoted. In the first democratic election after the fall of communism, the number of women deputies in parliament fell from 75 in the last parliament of communist Albania to 9. In turbulent period after 1991 the position of women worsened. There is a religious revival among Albanians which in the case of Muslims sometimes means that women are pushed back to the traditional role of mother and housekeeper. As of 2013 women represented 22.9% of the parliament. The total fertility rate is 1.5 children born per woman (2015 est. ), which is below the replacement rate of 2.1. The contraceptive prevalence rate is quite high: 69.3% (2008/09). Most Albanian women start their families in the early and mid-twenties: as of 2011, the average age at first marriage was 23.6 for women and 29.3 for men. In some rural area of Albania, marriages are still arranged, and society is strongly patriarchal and traditional, influenced by the traditional set of values of the kanun. The urbanization of Albania is low compared to other European countries: 57.4% of the total population (2015). Although forced marriage is generally disapproved by society, it is a "well known phenomenon in the country, especially in rural and remote areas" and girls and women in these areas are "very often forced into marriages because of [a] patriarchal mentality and poverty". Abortion in Albania was fully legalized on December 7, 1995. Abortion can be performed on demand until the twelfth week of pregnancy. Women must undergo counseling for a week prior to the procedure, and hospitals which perform abortions are not allowed to release information to the public regarding which women they have treated. During the government of Enver Hoxha, communist Albania had a natalist policy, leading women to have illegal abortions or to induce them on their own. Eventually the country had the second-highest maternal mortality rate in all of Europe, and it was estimated that 50% of all pregnancies ended in an abortion. During the communist era women entered in paid employment in large numbers. The transition period in Albania has been marked by rapid economic changes and instability. The labour market faces many of the problems that are common to most transition economies, such as loss of jobs in many sectors, that were not sufficiently compensated by emerging new sectors. As of 2011, the employment rate was 51.8% for women, compared to 65.6% for men. As late as 1946, about 85% of the people were illiterate, principally because schools using the Albanian language had been practically non-existent in the country before it became independent in 1912. Until the mid-nineteenth century, the Ottoman rulers had prohibited the use of the Albanian language in schools. The communist regime gave high priority to education, which included the alphabetization of the population, but also the promotion of socialist ideology in schools. As of 2015, the literacy rate of women was only slightly below that of men: 96.9% female compared to 98.4% male. In recent years, Albania has taken steps to address the issue of violence against women. This included enacting the Law No. 9669/2006 (Law on Measures against Violence in Family Relations)  and ratifying the Istanbul Convention. ↑ "Labor force participation rate, female (% of female population ages 15-64) (modeled ILO estimate) - Data - Table". worldbank.org. Retrieved 17 June 2016. 1 2 3 Bilefsky, Dan. "Albanian Custom Fades: Woman as Family Man". The New York Times. NYTIMES.com. Retrieved 27 October 2013. 1 2 3 4 Elsie, Robert. 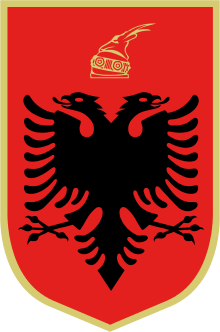 "Albania". Advameg, Inc. Retrieved 27 October 2013. 1 2 Rukaj, Marjola. "Virginity pressures in Albania bring women to the operating table". Women News Network (WNN). Retrieved 27 October 2013. ↑ Garnett, Lucy Mary jane and John S. Stuart-Glennie, The Women of Turkey and their Folk-lore, Vol. 2. D. Nutt, 1891. ↑ de Haan, Franciska; Krasimira Daskalova; Anna Loutfi (2006). Biographical dictionary of women's movements and feminisms in Central, Eastern, and South Eastern Europe: 19th and 20th centuries. G - Reference,Information and Interdisciplinary Subjects Series. Central European University Press. pp. 475–77. ISBN 963-7326-39-1. ↑ Human Rights in Post-communist Albania. Human Rights Watch. 1996. p. 164. ISBN 978-1-56432-160-2. ↑ Marilyn Rueschemeyer (1 January 1998). Women in the Politics of Postcommunist Eastern Europe. M.E. Sharpe. p. 280. ISBN 978-0-7656-2161-0. ↑ Miranda Vickers; James Pettifer (1997). Albania: From Anarchy to a Balkan Identity. C. Hurst & Co. Publishers. p. 138. ISBN 978-1-85065-290-8. The religious revival among Muslim Albanians also affected women, as conservative family values gained ground and some women were forced back into the conventional roles of homemaker and mother. 1 2 3 4 "The World Factbook". cia.gov. Retrieved 17 June 2016. ↑ "Select variable and values - UNECE Statistical Database". W3.unece.org. 2016-02-09. Retrieved 2016-06-17. ↑ "Archived copy" (PDF). Archived from the original (PDF) on November 18, 2015. Retrieved November 17, 2015. ↑ "IRB: Albania: Forced marriages of women, including those who are already married; state protection and resources provided to women who try to avoid a marriage imposed on them (2010-June 2015) [ALB105216.E] | ecoi.net - European Country of Origin Information Network". ecoi.net. Retrieved 2016-06-17. ↑ Aborti – vrasje e fëmijës së palindur (in Albanian) Nr. 8045, data 07. 12. 1995, që është mbështetje e nenit të ligjit nr. 7491, të vitit 1991 "Për dispozitat kryesore kushtetuese" me propozimin e Këshillit të Ministrive, miratuar në Kuvendin Popullor të Shqipërisë. ↑ "Youth Employment and Migration : Country Brief : Albania" (PDF). Ilo.org. Retrieved 2016-06-17. ↑ "Albanian "Letërsia e gjuhës së ndaluar"" [The Literature of the Prohibited Language] (PDF) (in Albanian). Retrieved 2010-01-06. ↑ S.T. Dhamko. Boboshtica. Historie. Boboshtica, 2010 (dorёshkrim). Ff. 139-140. ↑ "LAW No. 9669 of 18.12.2006 : "ON MEASURES AGAINST VIOLENCE IN FAMILY RELATIONS"". Osce.org. Retrieved 2016-06-17. ↑ Bureau des Traités. "Liste complète". Coe.int. Retrieved 2016-06-17. Wikimedia Commons has media related to Women of Albania.